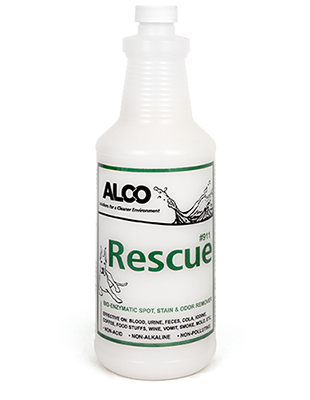 Alco Rescue 911 - Alco-Chem, Inc.
Great Environmental Choice! This natural biological product is used to remove spots, stains, and eliminates odors in textile materials. It is safe to use in any environment including hospitals, schools, funeral homes, restrooms, nursing homes, etc. Great for stains and odors from blood, urine and animal smells.